Romans 1:1-7, 15-17 ~ Tuesday, October 31st, marks the 500th anniversary of a seminal event in the history of Protestantism when Martin Luther nailed his 95 Theses to the door of the Schloßkirche (Castle Church) in Wittenberg, Germany, criticizing the doctrines of the Catholic Church and helping to spark the Protestant Reformation. Pastor Rod Bunton explores the most important of five “solas” that grew out of these theses and explains why the righteous shall live by faith, and faith alone, in Christ. 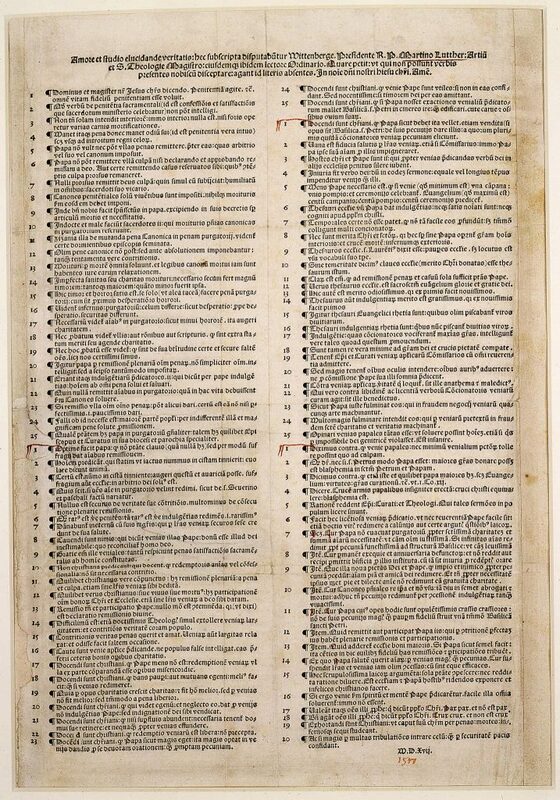 Luther’s 95 Theses – These were posted “out of love for the truth and from desire to elucidate it.” Martin Luther intended to defend each of these points that criticized the doctrines held by the Catholic Church at the time.